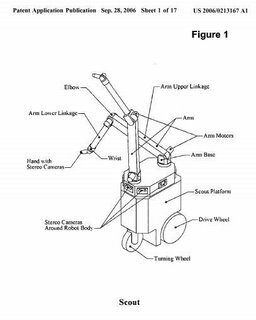 The founders of Vision Robotics Corporation have applied for a US patent on an agricultural robot that uses a vision and mapping to guide harvester robots through the farm. 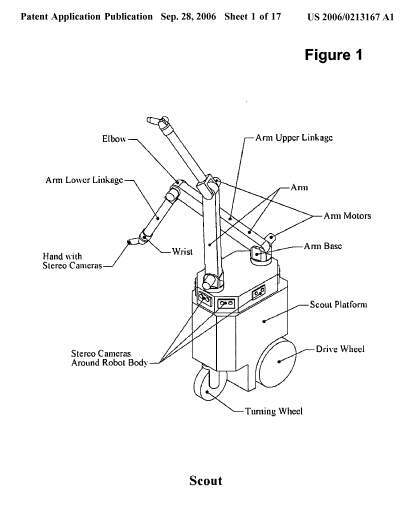 The patent proposes that a scout robot is first sent through the farm or orchard to map out the fruit, weeds, plants that need trimming or other farm work that needs to be done. Once the farm is mapped - for example all of the ripe fruit located - then a plan is formulated. Once the plan is done then the robot goes about its harvesting or maybe a team of harvester robots are sent out to pluck the ripe fruit. Their innovation is the use of a scout robot to visually record and map the details of the orchard before work begins. Having an accessible view of the plants will save time walking the farm and will also help optimize the use of the harvesting machines. Other organizations are investigating using autonomous flying robots to get a good look over their farm.